The Linguistic Society of America congratulates Lenore Grenoble and Charles Yang on their reception of Guggenheim Fellowships from the John Simon Guggenheim Memorial Foundation. Both are distinguished members of the society: Lenore Grenoble currently serves as the LSA's Secretary-Treasurer and Charles Yang is the 2017 Recipient of the LSA's Bloomfield Book Award. 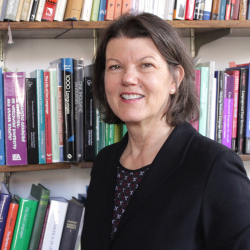 Lenore Grenoble is the John Matthews Manly Distinguished Service Professor and Chair of the Department of Linguistics and Humanities in the Collegiate Division of the University of Chicago. She specializes in Slavic and Arctic Indigenous languages, and is currently conducting fieldwork on Evenki (Tungusic) in Siberia, Kalaallisut (West Greenlandic, Inuit) in Greenland, and Wolof (Niger-Congo) in Senegal. Her research focuses on the study of contact linguistics and language shift, discourse and conversation analysis, deixis, and issues in the study of language endangerment, attrition, and revitalization. She is also the recipient of a 2018-2019 Fulbright Arctic Chair Award. 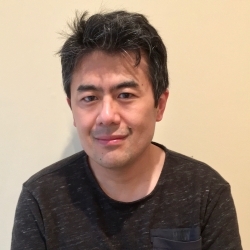 Charles Yang is a Professor of Linguistics & Computer Science and Director of Undergraduate Studies in Cognitive Science at the University of Pennsylvania. He specializes in language acquisition, natural language processing, morphology, and the evolution of language & cognition. His publications include The Price of Linguistic Productivity: How Children Learn to Break the Rules of Language which received the Bloomfield Book Award, The Infinite Gift, and Knowledge and Learning in Natural Language. "Lenore A. Grenoble is the John Matthews Manly Distinguished Service Professor in the Department of Linguistics at the University of Chicago. Grenoble completed a PhD in Slavic Linguistics from the University of California, Berkeley. After teaching at Dartmouth College in both the Russian Department and the Program in Linguistics & Cognitive Science, she joined the University of Chicago in 2007. She is a member of the American Academy of Arts and Sciences and has held major grants from the National Science Foundation, the Fulbright Foundation, the American Council of Learned Societies, American Councils for International Education and the International Research and Exchanges Board. Her books include Saving Languages. An Introduction to Language Revitalization (with Lindsay J. Whaley, 2006); Language Policy in the Former Soviet Union (2003); Deixis and Information Packaging in Russian Discourse (1998) and Methodological Issues in Documentation & Reconstruction: The Curious Case of Odessan Russian (with Jessica Kantarovich, forthcoming) and Contact, Change, and Loss: Morphosyntactic Change and the Impact of Russian (forthcoming)." "Everyone knows counting can continue forever, but of course no one actually counts forever. There must be a tipping point at which we figure out the rules for counting in our language. It has been known for decades that, strikingly, this number is around 72 for children learning English. Indeed, it is difficult to find children who can only count to, say, 75, without continuing on. By contrast, Chinese-Learning children children reliably take off after counting to only about 40, usually a full year ahead of their American peers. Learning to count is a typical example of children’s linguistic and cognitive development. While every child is unique, it is also important to recognize the systematic regularity across individuals. All children learn the rules of their language; they even make the same mistakes along the way. Every three year old will occasionally say “I goed home” instead of “I went home”, but all of them grow to know that when a new verb such as “google” enters into English, its past tense form (“googled”) is immediately available. To learn a language is to derive the rules for infinitely varied expressions from finite experience. To count to infinity is the same process: children must discover the pattern for infinite numbers from a finite sample: 72 to be precise. Ever since my days as a computer science student at MIT, I have been fascinated by the regularity, uniformity, and apparent ease with which children learn languages. Such an accomplishment is only possible if the child’s mind is a machine, one capable of robustly detecting the patterns of language. And if the mind is indeed like a machine, we should be able to develop simple and mathematically precise principles to understand it. To figure out the machinery of child language learning has been the primary focus of my research, which integrates methods and insights from linguistics, computer science, psychology, and neuroscience. These days I am a Professor of Linguistics and Computer Science at the University of Pennsylvania where, as the Director of the Cognitive Science Program, I have also enjoyed helping hundreds of students develop their own interdisciplinary coursework and research. I have written several books, including most recently The Price of Linguistic Productivity: How Children Learn to Break the Rules of Language (2016 MIT Press), which won the Linguistic Society of America’s Leonard Bloomfield Award. The Guggenheim Fellowship will support a new line of research exploring how children learn to count and how they develop the conceptual understanding of numbers. It turns out that the tipping points of 72 for English, and 40 for Chinese, are predicted by a simple mathematical principle that I have established for child language learning: the Chinese advantage can be precisely characterized by its simpler counting system. I plan to study children’s counting in several additional languages with varying degrees of numerical complexity, including American Sign Language where counting is done by hands but also follows linguistic rules. In particular, I will investigate the hypothesis that learning the rules of number formation in language leads children to understand that there are infinitely many natural numbers, and that the next number is exactly one greater than the previous one (Peano Axioms). This research may provide a concrete account for the relation between language and mathematics, which has intrigued scientists and philosophers for centuries."